Hi Lee. I can't comment on Hancock's product but these types of Hybrid policies are becoming quite common. If you have an existing life insurance policy with cash value, you may be able to convert that policy to a hybrid policy as well. I suggest you contact a fee only financial planner to help you. The have insurance experts that they can refer you to and help you make the best decision for you. Find one at www.napfa.org. Lee, that type of product is usually life insurance with an additional cost for a rider added to it that lets you access some of the life insurance death benefit for long-term care costs. These products can be difficult to understand and evaluate. Also since it often gets overlooked in discussions about these hybrid life/LTC products, remember to ask yourself do you actually need life insurance? And if not, is it worth paying for life insurance you don't need to have the ability to buy the LTC rider? My husband and I would like our brokerage account to go to our two children without going through probate when we die. Can we set up a payable-on-death account as we have in our bank? Leslie, most states should recognize payable on death or transfer on death ownership structures. Otherwise you can do a Revocable Living Trust to own these accounts so they can pass to heirs without going probate. Leslie, essentially yes, although on a brokerage account it will probably be called a Transfer On Death or TOD rather than POD. Hi Leslie. yes, you can set up a POD (payable on death) or TOD (transfer on death) account; however, only do so after a careful analysis of your estate plan. In my experience, this is one of the most overlooked aspects of a financial plan. www.kiplinger.comA transfer on death account passes directly to beneficiaries you designate but lets you keep control over the account now. My former wife informed me that she intends to claim a Social Security spousal benefit on my record. I just turned 64 and haven't applied for my own benefit yet. Can she apply if I haven't, and will her benefit affect my benefit and my new wife's spousal benefit? Leslie. David's suggestion of a revocable trust is a good alternative to consider. If you were married to your former wife longer than 10 years and she is at her full Social Security retirement age then she can file to receive a benefit based on your records. I can't remember if you must have begun taking benefits for her to file on yours. Dave- Yes, she can apply and it will not affect your (or your current spouse's) benefits at all. Dave, she can and no, it does not affect your benefit or your current wife's benefit. Most of the time, these transactions take place without the former spouse even knowing about it. • eligible for a spouse's benefit and your own retirement benefit, you may choose to receive only spouse's benefits. •eligible for an ex-spouse's benefit and your own retirement, you may choose to receive only the ex-spouse's benefit. Your ex-spouse needs to be 62 but he or she does not have to have filed for benefits. Hi, if someone is making $1000K a year, (for the last 20 years, or slightly less - was given raises incremently each year) and is 57 and wants to wait to collect social security at age 67. so they stop working full time and take a part-time or lessor paying position for say 30K - 40K a year. How adversely will that effect how much their s.s. payment will be? Is it calculated as an average of your salary, or your latest paying job? should one "stick it out" at the higher paying job until they are ready to collect? or not work at all until ready to collect, but then you are missing out on salary money too? Every year of earnings is taken times a factor to determine the base benefit amount. Go to www.ssa.gov and test various scenarios for your situation in the benefit calculator. Hi Jean. Social Security calculates your average indexed monthly earnings during the 35 years in which you earned the most. Hi Jean. I believe the benefit is calculated based on your highest 35 years of earnings. Earlier years are adjusted for inflation. If I recall, it is a multi step formula for calculating the benefit. Whether or not you should "stick it out" depends on a lot of things that I can't answer here. 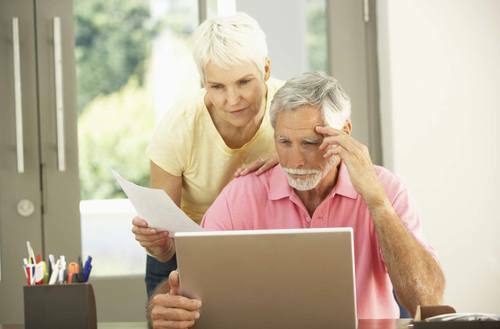 At age 57, you would benefit from a retirement analysis prepared by a professional. Find one to help you at www.napfa.org. 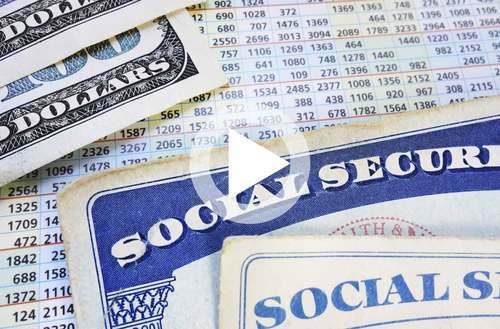 How Much Will I Get From Social Security When I Retire? www.kiplinger.comHere are a couple of ways to estimate the amount of your monthly benefit check in retirement. I'm 23 and just started my first job. My employer offers both a traditional and Roth 401(k). Any thoughts on which I should choose? Jean - Your Social Security Benefits are based upon your higher 35 years of earnings, indexed for inflation. Use the Detailed SSA calculator to model it (it lets you enter earnings year by your) and see how it changes. Assuming that you don't die prematurely, working longer can increase your SSA benefit in the long term, but depending on your earnings history the impact may be smaller or larger. Jess, if you foresee your income increasing over the years so your tax rates will be higher in future years then a Roth 401K would be the way to go at this time while your tax rates are lower. Hi Jess. A traditional 401k gives you a tax benefit now, while a Roth 401k gives you a tax benefit upon distribution. Check with your accountant as to what makes the most sense. www.kiplinger.comWorkers of all ages can benefit from stashing away after-tax money now in exchange for tax-free withdrawals in the future. My husband died at age 69 and never claimed his Social Security benefit. I'm 60 and trying to decide whether to claim a survivor benefit now or wait. Will my survivor benefit be reduced if I claim before my full retirement age? And will I get a higher amount because he delayed? Jess - if your tax rate now and your tax rate in retirement are the same, it's theoretically a wash. But in practical terms, the Roth is often better for young people just starting out retirement-wise because they may be at a lower tax bracket now than later in life. Having said that, the impact on your paycheck right now will be smaller if you do the traditional. Does your employer offer any matching contributions? Hi Meg. I am sorry for your loss. Yes, since your husband delayed you should be entitled to a higher benefit than he would have received at 62 or even his Full Retirement Age (FRA). You can go to www.ssa.gov/estimator to help determine your benefit options. www.kiplinger.comClaiming survivor benefits after losing a spouse can ease the financial loss. @Timothy Yes, they match up to 4%. Would that make a difference in my decision? Meg, I am sorry for your loss. Yes, your widow's benefits will be reduced if you take it before your FRA. 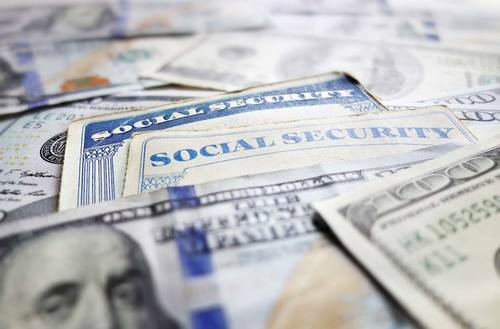 You might benefit from finding a financial planner who does Social Security Benefits planning. Especially if you have an earnings history that is similar to or higher than your late husband's. The strategy mentioned in the Kiplinger article posted comes to mind but may or may not be an effective approach depending on your earnings history. I'm 64 and have a variable annuity. If I annuitize the balance to create a lifetime income stream for myself, will that be taxed differently than if I just take withdrawals when I need them? For a non-qualified annuity a partial distribution takes the taxable growth out first. If it is annuitized the taxable amount is prorated in each payment. Lizzie - Maybe. If you are likely to be at this employer long enough to have those contributions vest (meaning you get to keep them, often 3-5 years, but sometimes less), you should try to contribute at least that much. If saving 4% is a financial stretch for you, doing it pre-tax can make it less painful. If 4% or more is not a big stretch, you are effectively saving more by doing the same amount to the Roth because you are also paying the income taxes now, separately. If you take the withdrawals as needed, taxes could be higher because earnings, which are fully taxable are distributed first. If you were to annuitize, the distributions follow what is known as an "exclusion ratio". This means a portion of the distribution is taxable and a portion is not. As an example, if you started with $80,000 and the annuity grew to $100,000, ~20% of the monthly distribution would be taxable. Lizzie - Also note that whichever route you choose to go, the employer matching contributions will always be pre-tax, not Roth. What is the best way to pick a financial adviser? I am in my upper 40’s and figure it is about time I get some help while I still have some time to make some corrections. There are a million out there and, of course, they all say their advisors/options are the best. I do not know what some of the tips are as far as paying them (how much is too much) or picking one in general. Any advice would be helpful. @ Lizzie - Which may be good since we never know how the code may or may not evolve in the future. Sarah. If, by chance, your annuity is an IRA Annuity (which is not too common, but I have seen it happen), then, most likely, all distributions are taxable.